You definitely don’t want to skip these. 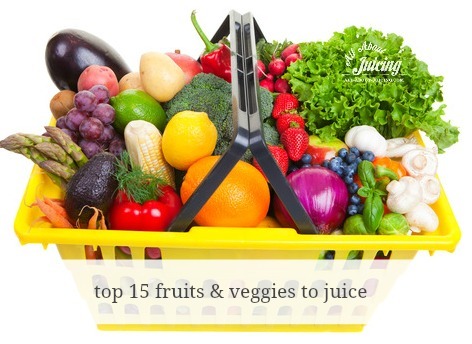 Did you ever wonder what the best fruits and vegetables are for juicing? While it’s a matter of personal opinion, these top 15 cannot be rivaled for your daily diet. 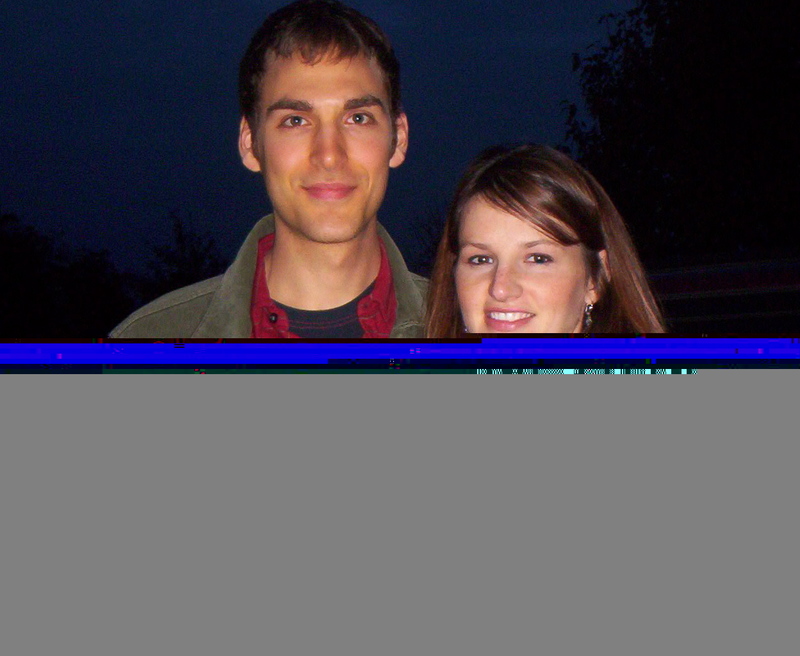 They also will be particularly good if you are juicing fasting or doing a juice cleanse. While all fresh, raw and live produce are exceptional, there are some that stand out from the crowd. I’ve picked these as the best fruits and vegetables mainly because of thier health benefits and ease of juicing. Note that they are not in any special order…how would that even be possible? 🙂 Definitely give all of these best fruits and vegetables a try. Antioxidant packed, these are one of the best fruits for juicing. They help to reduce cholesterol, cleanse digestive system and help to boost the immune system. They go well with almost any fruit or vegetable (softening any bitter or strong juice), making them my favorite base for juices. They are also chock full of nutrients that help aid in digesting fats. Pineapples add a great tropical flavor to juices. They are anti-inflammatory, antiviral and antibacterial. They help to dissolved blood clots. They also contain a digestive enzyme called bromelain with is really important for the body to digest protein. Papaya is at the top of the list of the best fruits and vegetables when it comes to digestion. It contains papain, an enzyme that helps to breakdown protein. If you have digestion problems, try juicing some papaya juice daily, especially after meals. You don’t need a lot, but adding any type of mint to your papaya juice will strengthen the properties even more. Papayas also help to replenish vitamin C in the body, and protects against cancer. Note: Papaya doesn’t juice well in a juicer, however, it works great for blender drinks and smoothies. Tomatoes are popular and are at the top for best fruits and vegetables to juice. They are fantastic for your health. Tomatoes lower your risk of cancer (especially testicular cancer in men) and is good for the heart due to its high amount of lycopene. They blend very well with many vegetables and are pleasant tasting. When cooked, they become acidic, so if tomato sauce bothers you, don’t assume that juice would do the same. It’s completely different when it’s raw. Packed with antioxidants, these do so much for your general health. They are antiviral and antibacterial. Berries are good for the blood. Blueberries and blackcurrants help diarrhea and urinary infections. Raspberries are good for menstrual cramps. Strawberries have lots of lycopene and help the cardiovascular system. While berries aren’t the easiest to juice on the best fruits and vegetables list, they should become a staple in your juicing regimen. Cabbage is fantastic for the stomach. If you had or have ulcer problems cabbage is a must for you to juice daily. It’s a cancer fighter and full of indoles that aid in estrogen balance and regulating metabolism. It’s a great detoxifier. While cabbage doesn’t taste so great alone, it’s flavor can easily be masked by other yummier produce. Broccoli is part of the cruciferous family. Loaded with antioxidants, it also has a good amount of vitamin C. If you are concerned about lung, colon or breast cancer, have raw broccoli a few times a week. If you can’t eat it, juice it so you can’t taste it. Mix it with some tomato juice. It has chlorophyll, so it helps to regulate insulin and blood sugar. Celery is great at cleansing the digestive system of uric acid. So if you have gout issues, definitely include celery in your diet daily. It’s great for lowering blood pressure because of it’s high potassium content. If you retain water daily and have lots of bloating, celery is your #1 go to veggie! It’s diuretic effect is powerful. If you are starting a detoxifying regimen, be sure to make celery as a regular base to your juices- its diuretic properties will help to remove the toxins from your body with ease. There is potassium in the tops so juice them too. It helps to balance out the sodium in the stalk. Carrots are surprisingly (and deliciously) sweet when juiced. Don’t be afraid of them at all. They have too many good nutrients packed inside to be missed. They have a high beta carotene content making them great for skin, brain, fighting cancer, protecting arteries, fighting infections and boosting the immune. Many doctors believe (as well as studies have shown) that they help to eliminate putrefactive bacteria in the colon and help to rid of intestinal parasites. They blend very well with many ingredients, including one of my favorites….apples. Apple carrot juice is a powerhouse and one of the best fruits and vegetables drink combos. Yes, they can be juiced. They have an exceptional amount of vitamin, in the form of beta carotene. They are a good source of vitamin C, manganese, copper, fiber, B6, potassium and iron. Sweet potatoes are anti-inflammatory and really can help people with arthritis and other types of inflammation. Cranberries prevent bacteria from forming in the bladder, prostate and kidneys. It also deodorizes urine. They contain mannose, which is what helps to keep the entire urinary track from getting and infection. They also can help prevent kidney stones. They are antiviral and antibiotic. Because they are so sour, they need to be combined with either water, or another fruit to be palatable. I like to add apple or grape juices to the mix. Parsley has a lot of chlorophyll and is excellent for the blood. It gives you a spark of energy and has anti-parasitic properties. It helps with the kidney and gallstones, cleanses the liver and supports the heart. Many people also say it helps their arthritis. And one last thing- it helps to deodorize the body as well as your garlic or onion breath! Add it to any juice, but more generously to your green juices as you’ll hardly taste it when its mixed with other greens. Besides for its general leafy green benefits including chlorophyll, dandelion is specifically good for cleaning out the kidney, liver, gallbladder, bowel and pancreas. It’s a mild diuretic, and helps people with anemia, diabetes and hypoglycemia. Because of these things, it does help many people with acne problems as it helps to clear elimination blockages in the body. That’s not all- it has a good amount of calcium, manganese, potassium and iron. Wheatgrass is one of the finest greens out there. It restores health to the sick and brings up red blood counts for a healthy body. It’s high in indoles, which helps to prevent cancer. It stimulates DNA repair, neutralizes the worst free radicals (called superoxides) and protects from cancer. It contains over 20 enzymes, including the enzyme catalase which breaks down harmful hydrogen peroxide in the body and prevents it from harming cells. Wheatgrass is very nutrient dense, and includes provitamin A, chlorophyll, potassium, magnesium, among many, many others. According to several studies, the only nutrient it seems to lack is vitamin D and B12. People have used wheatgrass to reverse cancer and many other health issues with success. It is easy to grow or find in markets these days. Unfortunately not all juicers can juice wheatgrass with ease. Many can, but if you have a model that cannot you can buy a special wheatgrass juicer. If I had to put an order to the list on this page, wheatgrass would be number 1 on the list for the best fruits and vegetables to juice- soley for it’s health benefits. Citrus are one of the most popular of the best fruits and vegetables to juice. They contain carotenoids, bioflavonoids and oodles of vitamin C which help to fight cancer. They lower blood pressure and help to reduce plaque from arteries. Citrus are antiviral, antibacterial and super yummy. They had a burst of flavor to almost any juice. You’ll want to make sure your citrus fruits are not picked until ripe as they can be acidic if picked too early. Spinach is full of many important vitamins and minerals. It does contain oxalic acid which can interfere with the absorption of calcium in the body, so since there are so many choices for things to juice, limit this to 2-3 times a week. Kale, how awesome is kale? It has protein, minerals, calcium, very good…maybe I should have included this in the top 15! Melons are super nutritious. Many are natural diuretics which make them powerful cleansers and detoxifiers. They have a high water content so they are great to re-hydrate your body, especially after a workout. Cantaloupes are high in beta carotene(the orange gives that away) and all of them are antiviral and antibacterial. Peppers are rich in vitamin c and have lots of antioxidants. They help to keep arteries decongested and help conditions like asthma, bronchitis and the common cold. They also help the hair, nails and skin because they are high in natural silicones. I Juiced to Beat Cancer and Turned Orange! The Centers for Disease Control and the National Cancer Institute recommend you eat at least 5 servings of fruits and veggies per day, but 9+ servings per day is essential if you want to transform your health. Most folks I know don’t even average 1 serving per day. Sorry grains and starches don’t count. Our modern processed food diet has left our bodies starving for nutrients at the cellular level. Juicing is the best way to extract massive amounts of nutrients from vegetables; without having to sit down and eat several pounds of vegetables per day. Let’s review the digestive process, shall we? When you chew food you are essentially juicing it in your mouth. You are breaking it down into liquid form, and breaking open the cell walls, so the nutrients can be absorbed by your body. The particles that cannot be broken down by your teeth or by your digestive system, pass through. The better you chew your food before you swallow, the more nutrients you are able to absorb. A major component of my anti-cancer diet was drinking eight 8 oz glasses of freshly juiced organic carrot and vegetable juice every day. My strategy was to eliminate all processed food from my diet and flood my body with vital raw nutrients in order to give my immune system all the fuel and firepower it needed to heal me. Juicing releases approximately 90% of the nutrients in food, which is about three times better than you can do with your teeth. Another important factor is absorption. If your body is overloaded with toxins, you could be absorbing as little as 1% of the nutrients in the food you eat. My daily routine: I got up every morning and made enough juice (about 64 oz) to last me throughout the day. I put it in air tight pitchers, and mason jars to keep it fresh and potent throughout the day. I drank 12-16 oz at a time: early morning, mid-morning, lunchtime, afternoon, dinnertime, and before bed. Raw carrot juice is rich in cancer fighting nutrients: vitamins, minerals, flavonoids and carotenoids including Vitamins A, B, C, D, E, K, alpha-carotene, beta-carotene and lignans (enterolactone). It also is a good natural source of sodium, potassium, calcium, magnesium, iron, phosphorus, sulphur, silicone and chlorine. There are some natural health advocates out there that do not recommend carrot or beet juice because they think it contains too much sugar and “sugar feeds cancer”. While it is true that cancer cells feed on glucose, the sugars in plant food can also deliver anti-cancer nutrients straight to the cancer cells. I’m talking about nutrients that can turn off cancer genes, interfere with cancer cell reproduction, and cause apoptosis (cancer cell suicide). So I never worried about the sugar content in beets and carrots. One nurse actually told me I was drinking too much carrot juice. Silly nurse, you can’t overdose on carrots! Note: Fruit juice is very high in concentrated sugar which may be problematic if you are sick, so I chose not to drink it. A good rule of thumb is to Eat your Fruits and Juice your Vegetables. Fruit is better in a smoothie because you are still eating it whole. The fiber slows the absorption of sugar into your bloodstream. There are a million different combinations of veggie juice, but here’s the one I drank the most. My basic formula is 5 Carrots, 5 Celery Stalks, 1/4 of a Beet (root and top), and a small slice of Ginger Root about the size of a quarter (the coin). Ginger is a very powerful cancer fighting spice, don’t leave it out! Also don’t get too hung up on the formula. 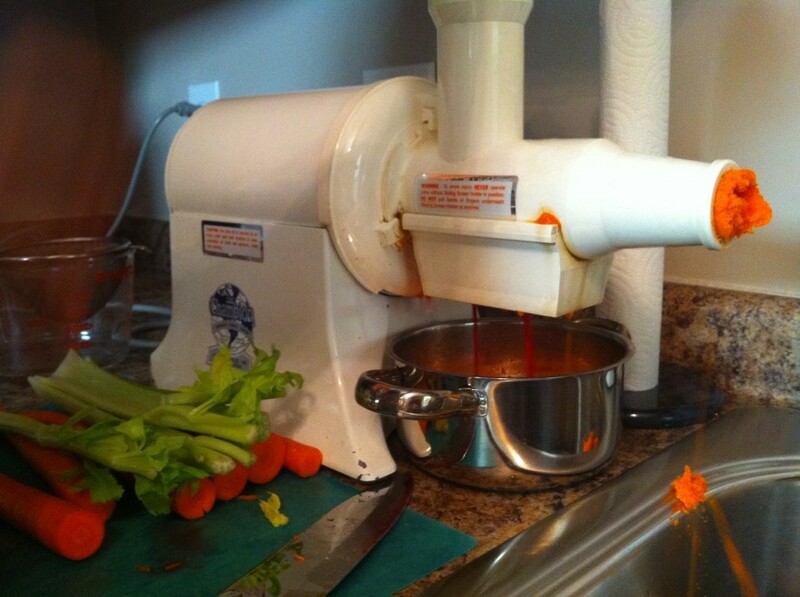 The type of juicer you have will determine how many carrots and celery stalks you’ll need to juice to make a glass. And there’s a million different juice combinations out there, so have fun experimenting. Watch the ginger, it’s strong. Straight carrot juice is delicious by itself, but the beet, celery, and ginger add a broad spectrum of powerful nutrients. Also make sure you’re buying Organic produce. The last thing you need is chemical pesticides in your juice. You may not like the taste but it doesn’t matter, your not drinking it for the taste. Just down it. I also like to mix in an alkalizing green powder like Perfect Food Raw. It’s made with 35 Nutrient-Dense Raw Organic Greens, Sprouts, and Veggies and it’s rich in Chlorophyll, Trace Minerals, Antioxidants, Enzymes, and Probiotics. Feel free to add as many vegetables to it as you want: broccoli, cabbage, cauliflower, asparagus, peppers, cucumber, etc. Here’s what I did: I got up every morning and made enough juice to last me throughout the day. This was around 64 oz total, or eight 8 oz servings. I stored the juice in air tight mason jars in the fridge. You may not need to drink that much… If you’re familiar with the Law of Diminishing Returns, you know that there is a point at which you are consuming the maximum amount of nutrients that your body can absorb in one day. It’s hard to know where that point is exactly, so my strategy was to overdose on nutrition, to insure that my body was getting all the nutrients it needed to heal. Note: I don’t juice leafy green vegetables like spinach and kale because they just aren’t very juicy. You have to juice like a pound just to get a few drops! I prefer to blend leafy greens up in a smoothie, that way you don’t waste any. A great book on juicing is The Juicing Bible. It’s got tons of detailed information on the nutrient content and health benefits of different veggie juices, and lots of combinations to try. And if you’re serious about juicing everyday, you’re gonna need a high quality juicer. I love my Champion Juicer. I’ve been using the one in the picture since 2004. It has a heavy duty commercial motor and is way easier to clean up than most juicers. And believe me, easy clean up will make all the difference in making juicing a part of your regular routine. If money is tight, there are cheaper alternatives like The Juiceman Pro. Cheap Juicers don’t get as much juice out and they don’t last as long, but if that’s all you can afford, get one! My Champion Juicer working like a champ! Juicing is the first component of my Super Health Triad.